Frasca Jewelers is proud to serve Palm Desert for 30 years. It is celebrated in the Coachella Valley as a little gem. Frasca Jewelers is known for representing the chicest designer trends of the day. Fashionable looks from Milan, London, Geneva, Sao Paolo and New York are beautifully displayed alongside our fabulous diamond collections. They are the exclusive home in the Coachella Valley for Forevermark diamonds, as well as Buccellati, Hermes watches, Kwiat & Stephen Webster, among many others. An intimate yet friendly atmosphere, it is a must stop for all jewelry lovers. We'll receive your email shortly and will reply as soon as we can. Frasca Jewelry recently put on a hugely popular contest called “Happily Ever After,” bringing together 22 couples to compete for a wedding prize package worth $15,000. Among other tangible benefits, the store ended up tripling its customer e-mail list. Media Gallery As seen in Palm Springs Life. The history of jewelry made in Italy has been perfected and continues to be preserved by four generations of the Buccellati family. Known for their beautifully handcrafted designs in 18K white and yellow gold, Buccellati also adorns much of their jewelry with diamonds and important colored gemstones. The quintessential Buccellati look is their hand engraving. Talented artisans engrave finishes that imitate linen or a satin sheen created by precise parallel engraving, as well as dimensional scrolls, leaves and floral patterns. This caliber of engraving takes years and years to perfect. In fact, most of their jewelers are more than 25 years at the bench. One of a kind Buccellati pieces are found on the most discriminating women, as well as presented in prestigious museums. Their core collections, all still made by hand, feel as luxurious as they look. The Buccellati watches, designed for both men and women, set the wearer apart from the predictable and the mundane. Each watch case is cast one by one like a piece of jewelry and hand finished. To own a piece of Buccellati is to own an heirloom from the past and for the future. The House of Kwiat is all about diamonds. From imported diamond solitaires of the highest quality to classic designs with a fresh twist, all Kwiat pieces are red carpet worthy... from diamond hoops, chandelier earrings, diamond cuffs and bracelets to pendants and necklaces, there is something in the Kwiat collection that will catch your eye. Prìvè is Frasca Jeweler's private collection of exquisite designs made in house. 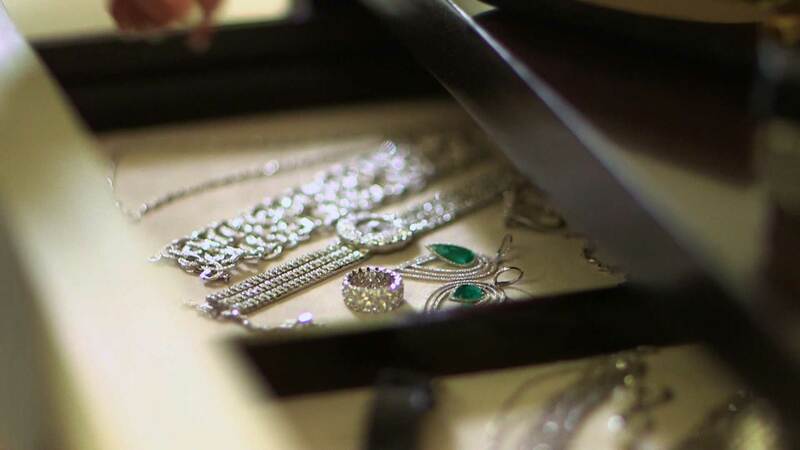 Whether we are using gemstones we have purchased or redoing a client's treasured heirloom pieces, you are assured of clever designs and impeccable workmanship. Remember a diamond is forever, but the design it's placed in is not. Give your heirloom a better future. Along with her iconic name, Ivanka Trump's designs are all about the cosmopolitan look of New York City. Her fine jewelry is a modern twist on classic looks. Today's woman will love how Ivanka Trump's pieces can be worn at the office and yet transition beautifully to an evening out for drinks on the terrace. Lollipop is where you will find eye catching pastel colored jewelry. The lively colors can be set in white or yellow gold for a whimsical design or surrounded by diamonds for a more regal look. Color is an important fashion statement this year and we show it in long necklaces, bracelets, rings and earrings. Designer Stephen Webster speaks for the hipster generation. Wicked British motifs such as thorns and studs are recreated into wearable jewelry - always with meticulous details and technical excellence. His fine gold collections are all about color and sinewy profiles; while his sterling collections of Superstud or Jewels Verne mix texture with dimension. Memorable and unique, Stephen Webster's creations make an impressive statement. Roberto Demeglio shows how the Italian eye for beauty paired with modern engineering make for great jewelry. His current collections combine high tech ceramic links with high quality diamond pavé for a chic look to be enjoyed every day. See how the Domino and Diva collections work with every fashion statement you want to make. Available exclusively in the desert at Frasca Jewelers, the promise of Forevermark diamonds are not only their extreme rarity and beauty, but that they are responsibly sourced. Forevermark is the diamond brand from the De Beers group of companies, which has a history of diamond expertise reaching back 125 years. The stunning selection of Forevermark round and Forevermark ideal cushion diamonds are set in rings, earrings, and pendants. While the Center of my Universe designed jewelry is one of the most coveted items of 2014. Less than one percent of the world's diamonds are eligible to become Forevermark. Luminox has partnered with the world's toughest maritime commandos to design a watch strong enough and useful enough to be worn by the military's finest warriors. Made famous by the Navy Seals, Luminox watches are also built for all the adventures and activities of your life. Luminox uses LLT, self powered illumination, which is a proprietary technology that provides a 24/7 glow at-a-glance. Set at each marker are tiny gas capsules, never luminescent paint. All Luminox watches are Swiss-made with jeweled movements. Shock proof and water resistant and dependable to wear, Luminox has many exciting designs to collect.